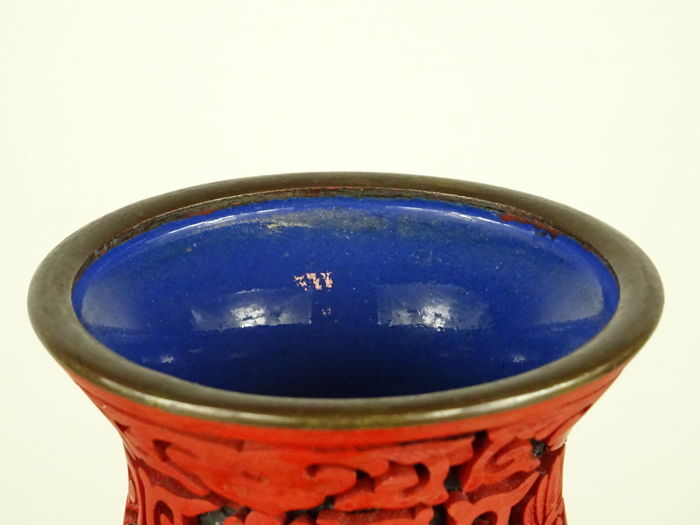 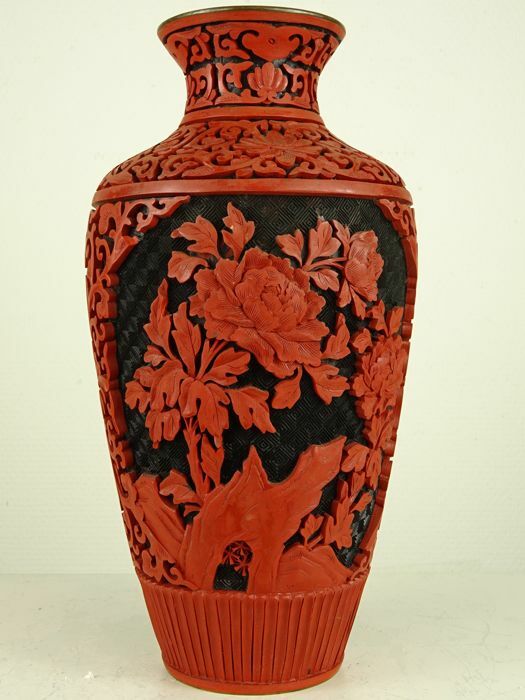 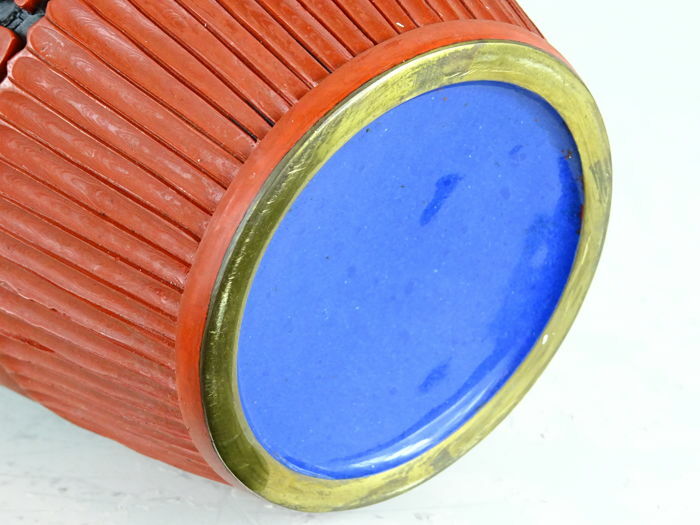 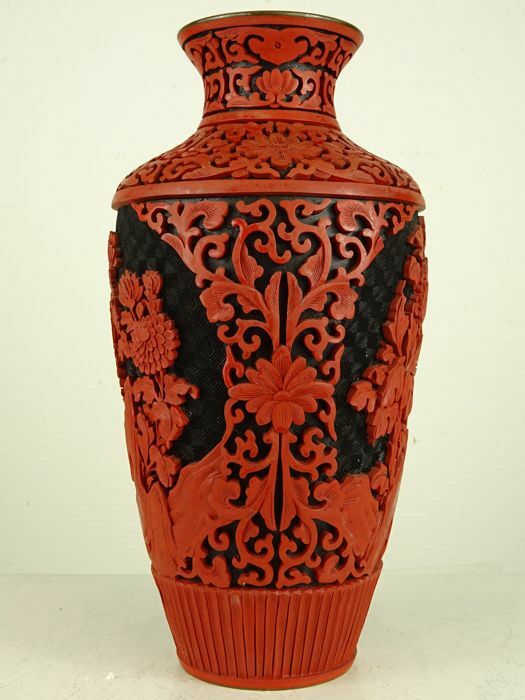 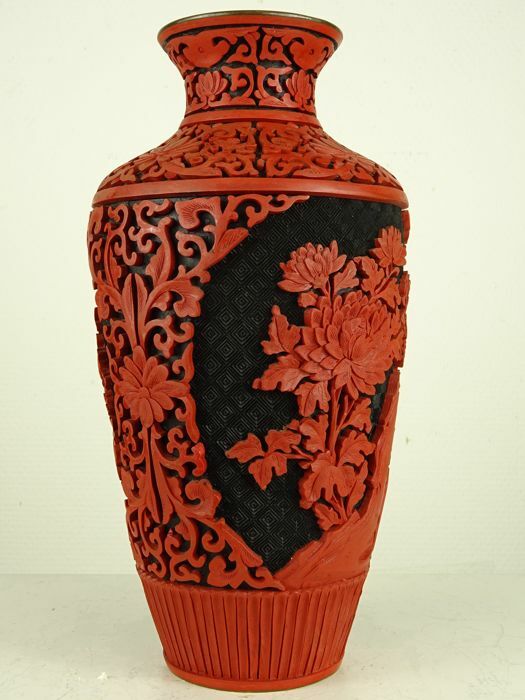 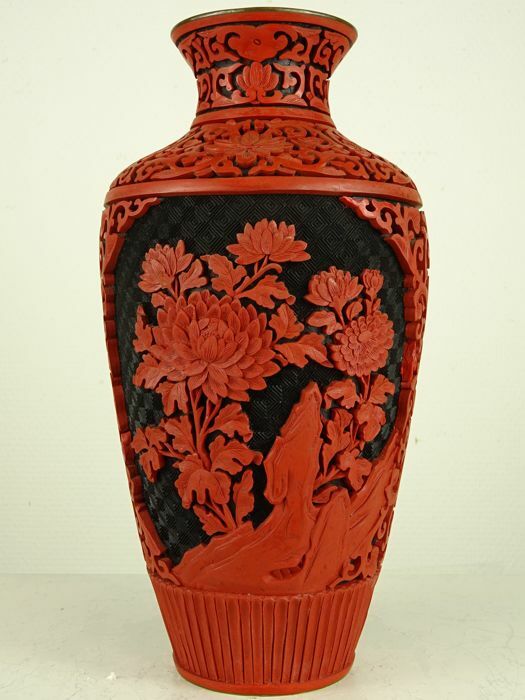 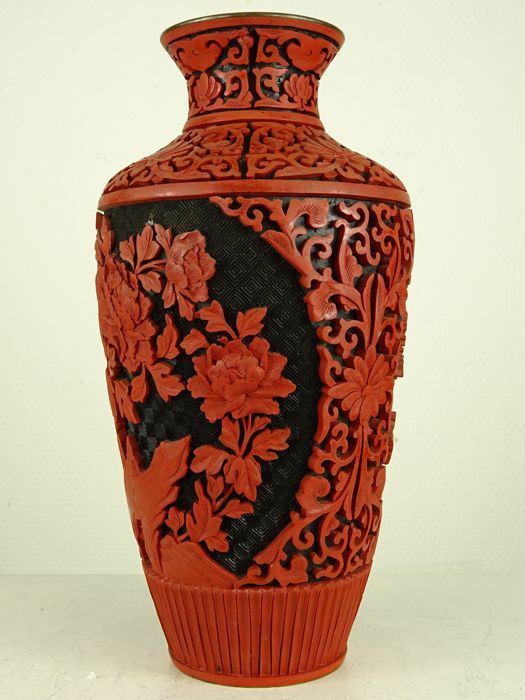 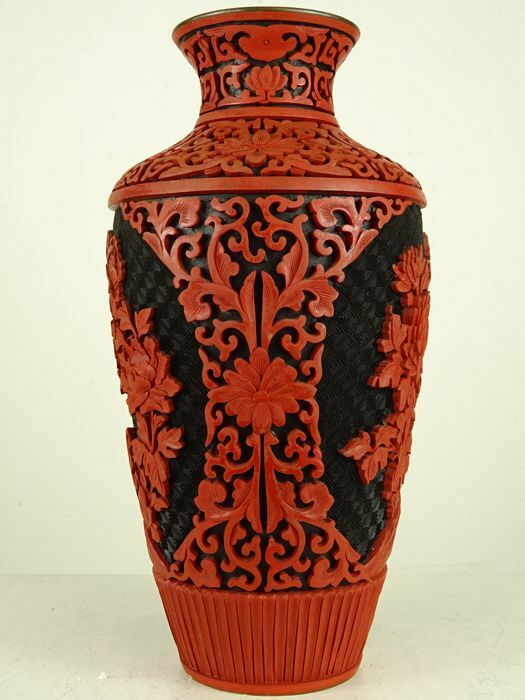 A large and fine red on black cinnabar (mercury ore) lacquer on copper vase, standing 25½cm tall and weighing 730g. 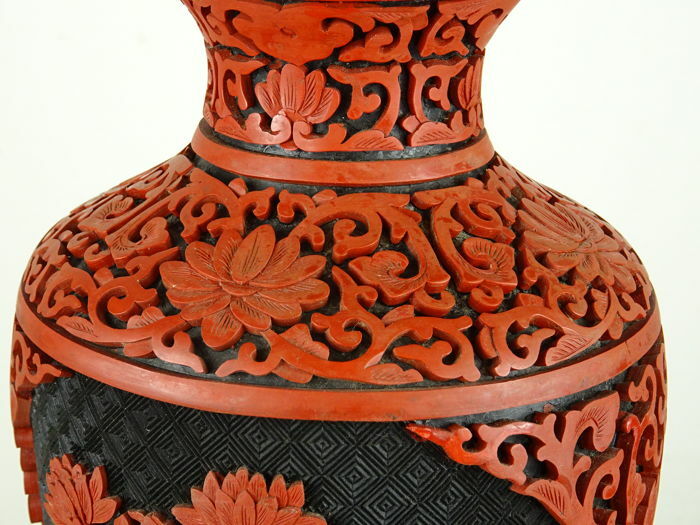 Made from hundreds of thin layers of cinnabar lacquer, each taking at least 24 hours to dry, in a process that requires months to complete. 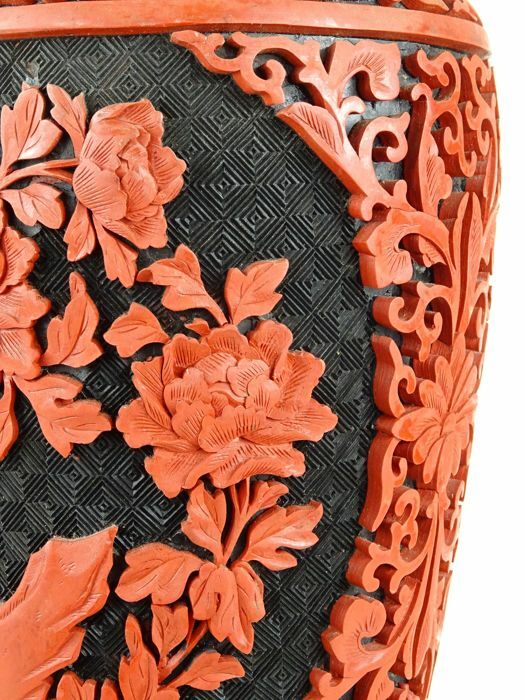 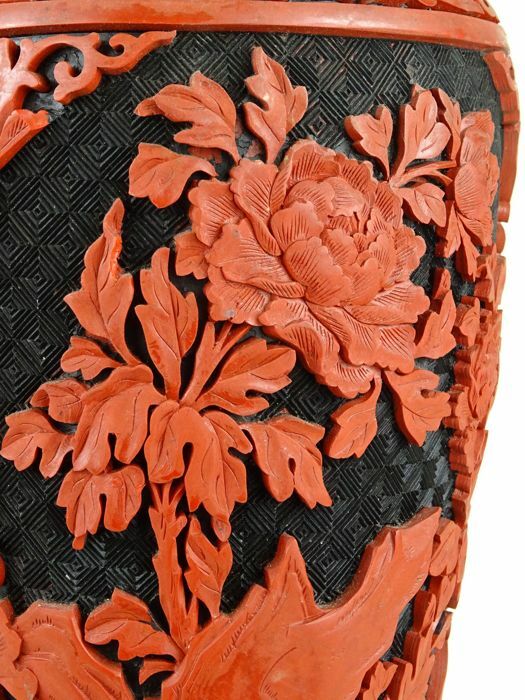 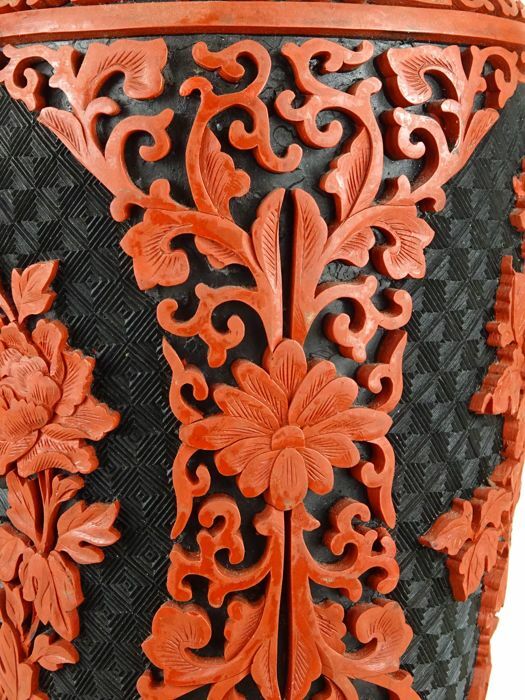 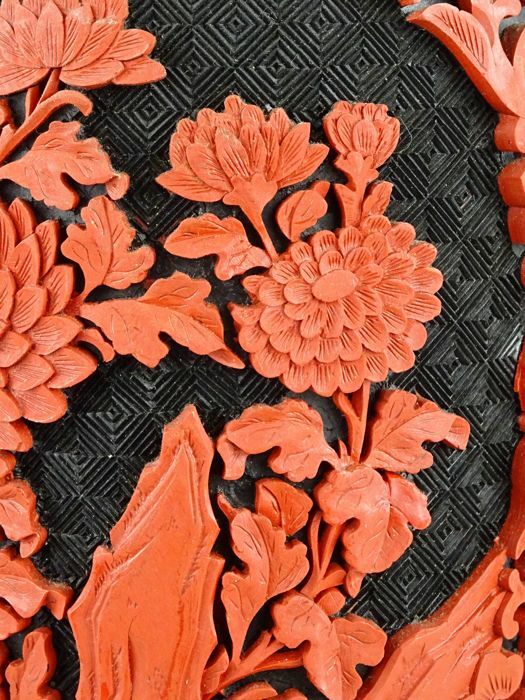 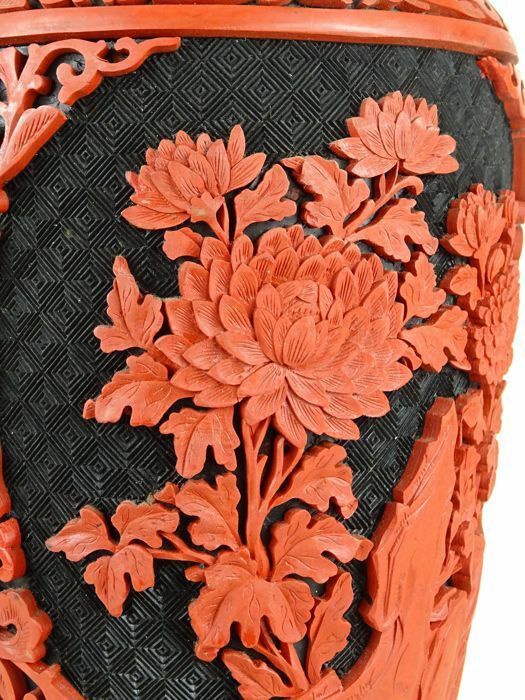 Delicately carved with floral decor within cartouches surrounded by a lattice of lotus scrolls and flowers. 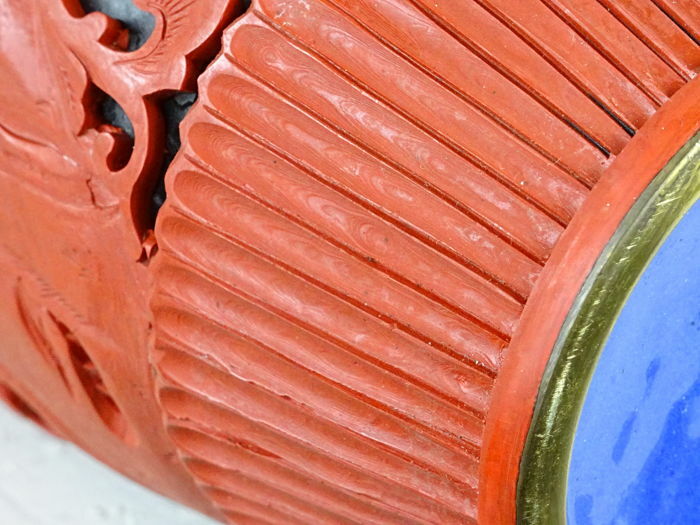 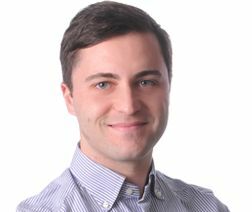 Condition: Excellent, no damages or repairs.